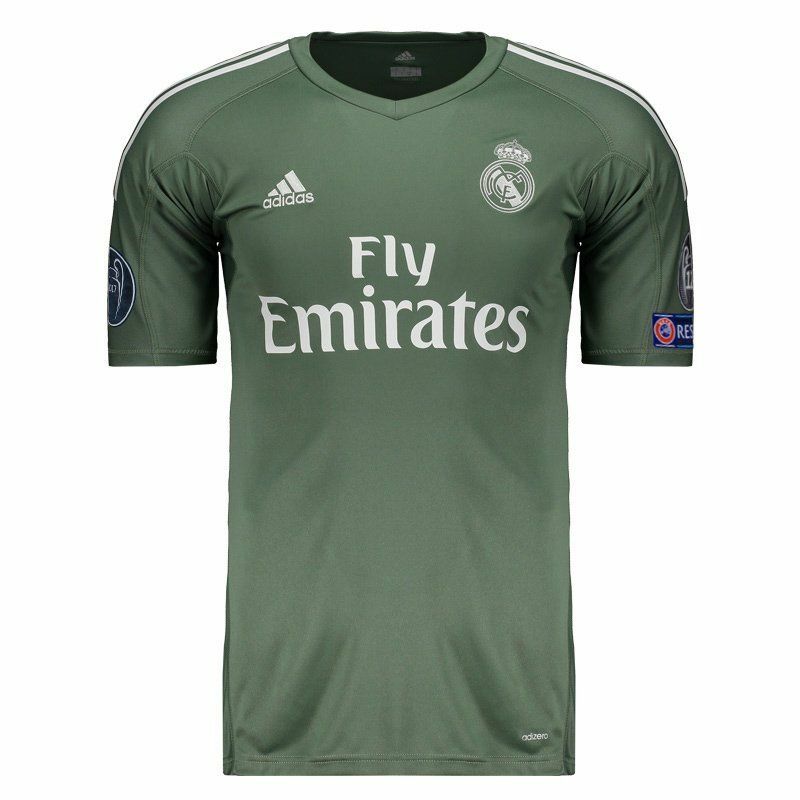 Produced by Adidas, the mantle of Real Madrid goalkeeper for 2018 brings in the chest a patch of the FIFA Club World Championship, already in the right sleeve a patch of Champions League is seen. More info. 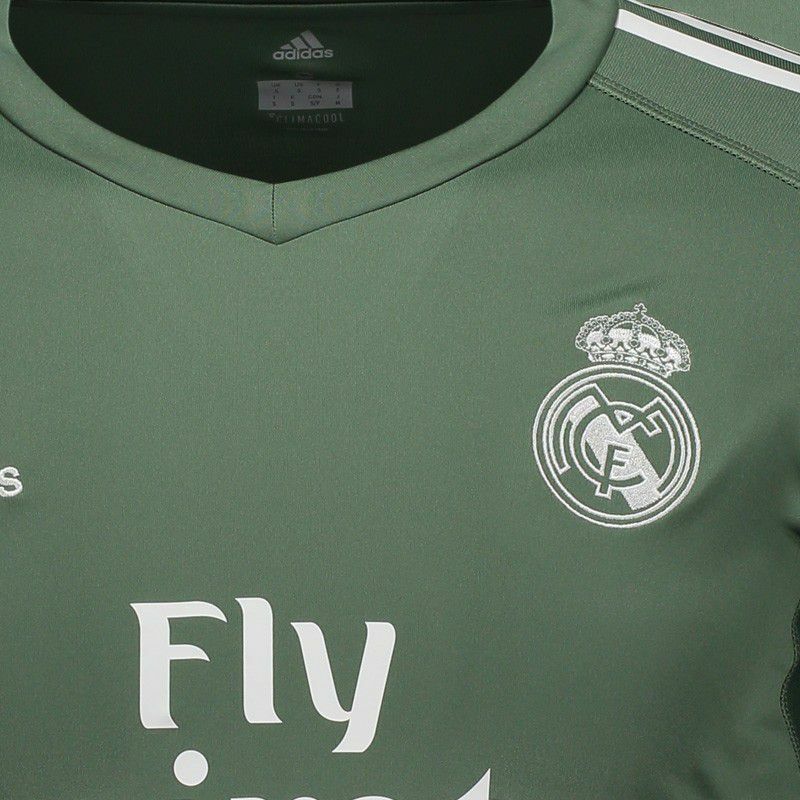 Produced by Adidas, the mantle of Real Madrid goalkeeper for 2018 brings in the chest a patch of the FIFA Club World Championship, already in the right sleeve a patch of Champions League is seen, in the opposite sleeve in turn, two more are seen, being which one mentions the 12 titles of champion. 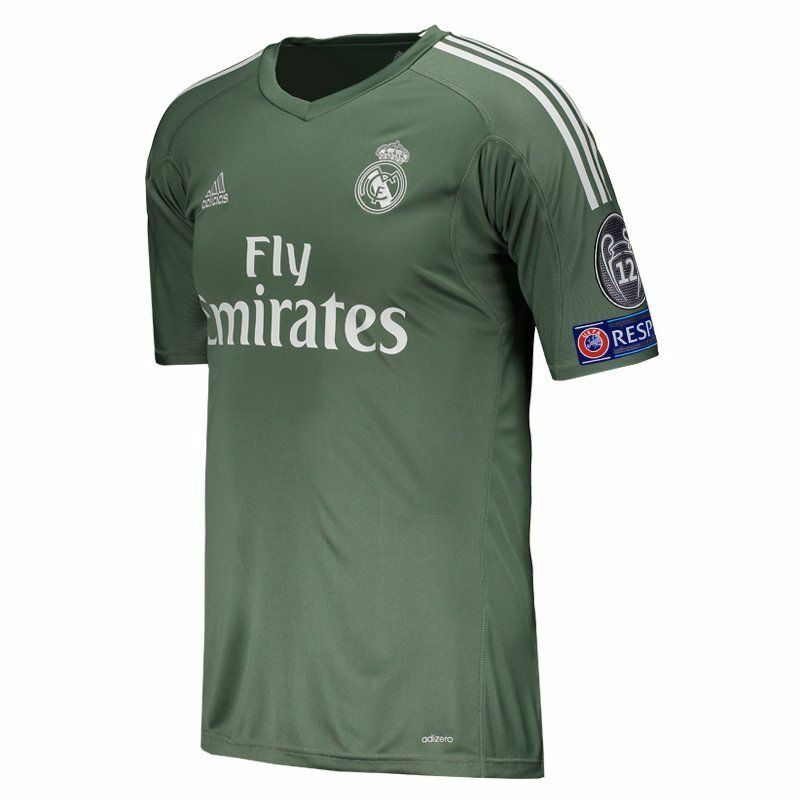 The shirt is part of Adizero, a line of products, which is a fabric developed to provide high performance and keep the body dry, fresh and comfortable. It is made of polyester and features Climacool® technology, a ventilation system specially engineered with materials and components which will provide a superior moisture management, enhanced evaporation and better breathability. 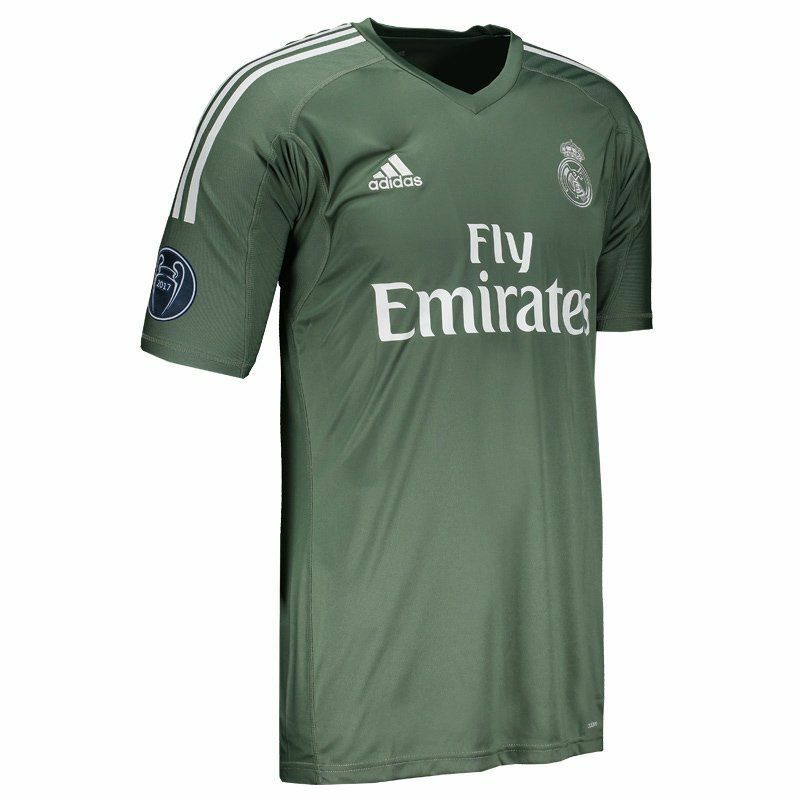 Its design is made of a moss green color with white details, as can be seen in the traditional Adidas stripes on the shoulders, sponsorship, brand logo and team badge, located on the front of the shirt. 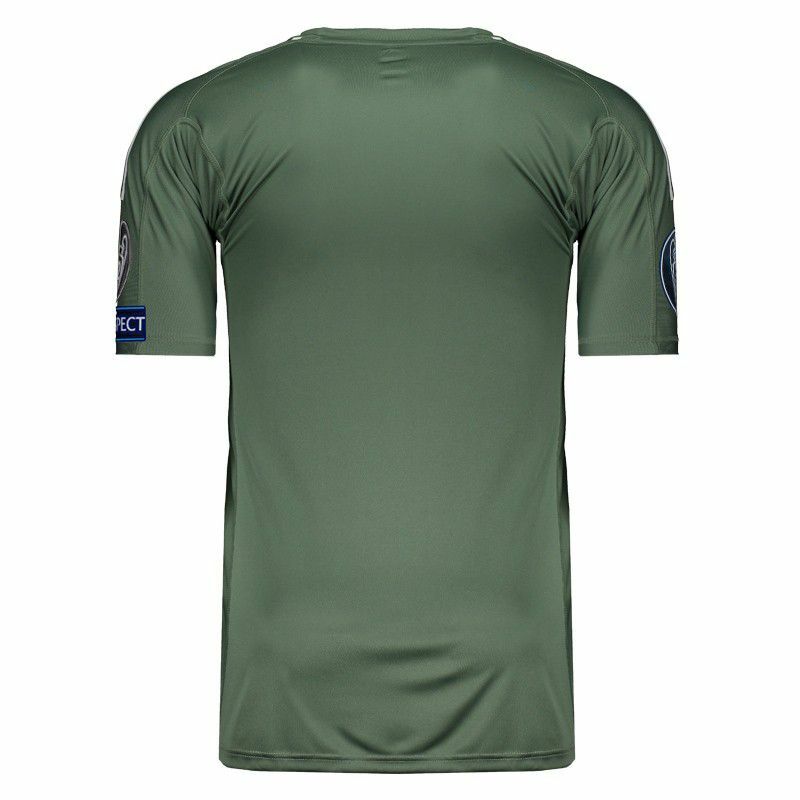 In addition, it features V collar and the sleeves are short. Finally, the mantle offers name and number customization in the official team fonts.